We present top quality school assemblies at public, private and alternative schools. Our presenters, are highly qualified and recognized throughout the world. 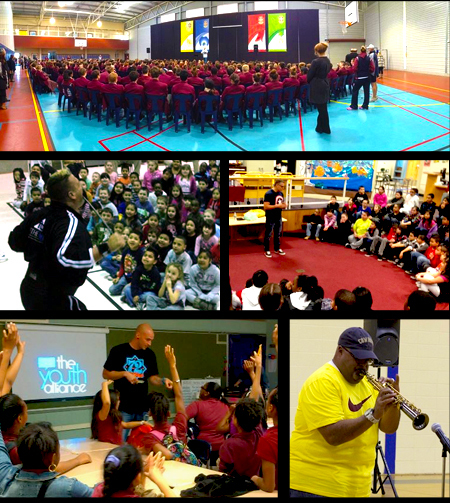 The presenters encourage youth to excel in life by making better choices, and empower them to believe they can accomplish their dreams.